What fintech innovations can the UK mortgage market learn from and adopt? Home News What fintech innovations can the UK mortgage market learn from and adopt? Customer expectations are rapidly changing and a new wave of start-ups are transforming financial services around the world. Is the UK mortgage market in danger of falling behind? And what can the UK mortgage sector learn from those at the cutting-edge, and what technologies could it realistically adopt over the next few years? Dock9 recently hosted a roundtable and we share some of the themes and topics discussed in this article. 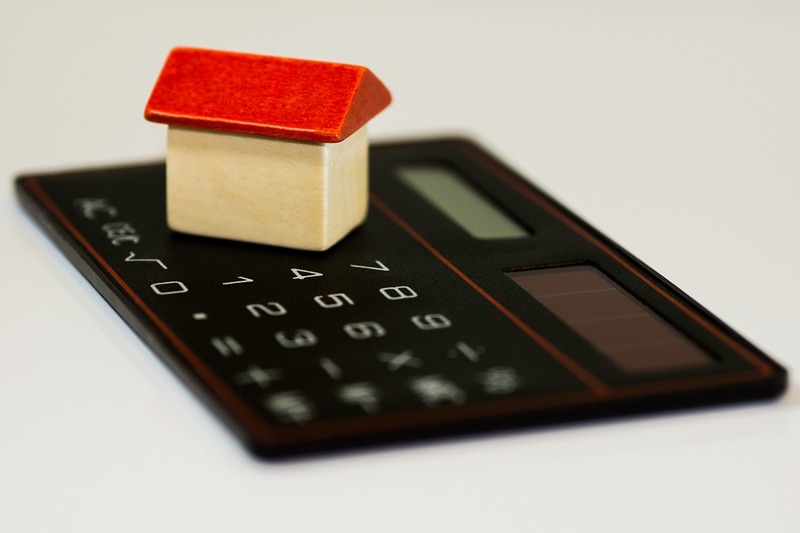 In an era of “fintech” and rapid technology developments it’s fair to say the UK mortgage market has lagged behind others in adopting new technology. While other sectors have embraced the new technology, offering seamless instant experiences, the end-to-end mortgage and home buying experience is still slow and archaic. With many parties in the process, each with their own challenges around legacy technology, it’s tempting for some to assume that a seamless end-to-end digital journey just won’t be possible. So before we looked at specific technologies we kicked-off the discussions by first asking if our sector is just too complex to radically change or if we simply have our heads in the sand? Most in the room agreed that from an underwriting and case-processing point of view that a seamless, automated customer journey leveraging AI, open banking and digital ID verification would be possible in the not too distant future for “vanilla” cases. We are likely to see a bifurcation between “vanilla” transactional cases, and those that will really need advice in future. Where that line would be drawn between “vanilla” and “specialist” was hotly debated. On the one hand, some thought that the value of the human conversation element of the advice process, and the ability to pick up the subtle cues and nuanced answers when talking to borrowers, could never be replaced by machine. Most agreed that some people want a conversation and not a pure transactional relationship on what is, after all, likely to be the biggest financial commitment they make in their life. On the other hand some questioned how real this perceived benefit was and whether in the not too distant future an AI-driven conversation would actually deliver a higher quality, consistent level of advice. It’s arguable that legacy systems have slowed the industry down to date, with incumbent core technology providers shouldering some responsibility for building systems that are slow, and costly to make even the smallest changes to. As we will explore further below, a new breed of cloud-based, fully API-driven systems have the potential to disrupt these players. We have arguably also witnessed certain inertia as an industry, as many lenders have waited for their competitors, who often have deeper budgets, to take the first technical leaps. A common refrain being that they want to be “one step” behind the trailblazers. However the barriers to change are breaking down at lenders and brokers alike, and some incumbents are starting to break free of the limitations of legacy systems and legacy thinking. One notable example is Hinckley & Rugby Building being one of the first to integrate with Twenty7Tec’s MortgageApply. This demonstrated that, perhaps paradoxically, smaller lenders could be at the forefront – by leveraging their size to be more nimble and adopting agile methodologies. APIs (short for Application Programming Interface) enable systems, services and websites to talk to one another. While many other industries have long-since adopted standardised, open means of communication between different parties, the mortgage industry is years behind – with manual rekeying of data far from unheard of. There was a clear consensus that the more widespread adoption of APIs would have the biggest immediate impact on the industry. At a basic level brokers and lenders should be able to pass case data automatically between systems electronically, starting with the DIP (both case information and decision result). With the likely continuation of a low-margin environment for the foreseeable future it is untenable that the manual re-keying and paper forms can continue. As a next stage full API-driven applications would deliver even more efficiency savings for broker and lender alike. While this is not new to the industry, with MTE being an early pioneer, overall adoption as an industry has arguable stalled over the last decade. Competition could be the key driver in taking adoption to the next level. The recent news of 15 lenders committed to integrating with Twenty7Tec’s Mortgage Apply in the coming year was notable, and there is a feeling that the dam may soon be broken. Looking beyond efficient data transfer the move to open APIs and companies becoming “platforms” could transform the industry in ways we can’t yet perceive. For example, nobody could have predicted when the Google Maps API was launched in 2005 that over a decade later Uber would utilise it to disrupt the taxi industry. In the insurance sector we have already seen creative use of APIs to reduce the amount of information a customer has to provide. For example Quilt, a start-up life insurance provider offers automated underwriting based on a “selfie” image taken by the user in the quote journey. Rather than needing to implement this functionality from scratch they plugged the image data in to the Lapetus Chronos API, which returns an accurate estimate of age, gender and body mass index. Looking closer to home open banking is the obvious potential game changer in our sector. Replacing the cumbersome process of providing paper statements to your broker, lender and conveyancer “one touch” digital authorisation to these parties would certainly improve the user experience of the borrower. Lenders would also have instant access to trusted data. This raised the question: who would take the lead in gathering this information in the future, the broker or the lender? From one perspective it would be most logical for the broker to augment their case information with open banking and credit risk data and present the lender with a verified “package” of information that they can trust to make their lending decision on. This would avoid the user needing to grant open banking access to multiple parties. From the lender perspective one questioned whether this would pass the compliance test and their responsibility to do their own due diligence. Could they trust this data? A possible solution was the broker sharing the open banking key with the lender. But taking a step back, how can lenders offer API’s if their core legacy systems don’t have them out of the box? One approach discussed was to break-free of these limitations through the smart use of Robotic Process Automation (RPA). Robotic Process Authomation (RPA) is an emerging business process automation technology that is based on the idea of software robots learning to perform repetitive tasks. These are undertaken directly in the same Graphical User Interface (GUI) that a human would perform the task. Some RPA systems leverage artificial intelligence (AI) to radically simplify the task of “training” the system. Instead of relying exclusively on code and configuration, the RPA systems learn by watching the performance of a task on a GUI. AI enables the system to learn from previous decisions and data patterns which increases accuracy over time. The potential use case for lenders is clear: where there is no appetite or business case for replacing a core system that has no easy way of exposing APIs, smart use of RPA coupled with a middleware API could enable them to break-free of the limitations of the legacy platforms and join the API revolution. AI is commonly defined as the ability of a machine to perform cognitive functions that we associate with human beings: perceiving, reasoning, learning, interacting with the environment, problem solving and exercising creativity. Machine learning is a subset of AI, and refers to algorithms that are fed data and experiences. These algorithms detect patterns and learn how to make predictions and recommendations. The algorithms also adapt in response to new data and experiences to improve their performance over time. So, opposed to receiving explicit programming instruction, computers can act without specific instruction. AI is a term that has had much hype in the mortgage sector over the past few years, with many new entrants touting the “AI-driven” nature of the technology. In reality, however, most are leveraging traditional programming decision trees and have only really experimented with AI in their labs (if at all). While many in the sector have focused their attention first on the possibility of AI replacing human advice, we highlighted two other possible use cases for the sector that may have more traction in the short term. The first is in improving fraud detection through the use of unsupervised machine learning. ThetaRay is a product in the US that is already in use in the banking sector. The second is using AI to radically personalise underwriting, with bespoke pricing based on a borrower’s individual risk profile. This risk profile could be based on non-financial data as well. Datanomers has developed a “financial risk profiler” that uses artificial intelligence to search the web for unstructured non-financial data on loan applicants, indexes the information and generates a report for the underwriter. As mentioned earlier, it was clear to some that incumbent core system providers in the mortgage space had held the sector back. While Robotic Process Automation opened up the possibility of building middleware API layers on top of systems, this may not ultimately be enough to really enable transformation in the industry. A new generation of cloud-based core banking systems offer welcome competition to the present incumbents and it is notable that the most pioneering challenger banks have almost exclusively gone down this route. For example Tandem bank adopted Fiserv Agiliti, while N26 and Oaknorth have utilised the Mambu platform. Could we see a similar disruption of incumbent mortgage technology providers? Augmented reality (AR) is an interactive experience where the real world (viewed through the camera on a smartphone or another device) is augmented by computer generated objects and information. Examples of augmented reality experiences include Snapchat lenses and the game Pokemon Go. Wells Fargo, in the US, has been at the forefront of experimenting with AR in financial services. It has built a proof of concept that enables a user to hold their credit or debit card in front of their phone’s camera, which then displays a panel of information as a pop out on screen containing current balance and transaction information. While a nice demonstration of the art of the possible, it’s arguable that AR is a solution looking for a problem within the financial services sector. Identity verification is critical to both mortgage application and account management, and is an area open to risk of fraud. Current paper-based identity verification methods are cumbersome, costly and inefficient. A digital identity system provides a simple and secure way of proving identities online. These reduce the risk of fraud and improve the customer experience. Digital IDs are already a reality, with platforms like Yoti in commercial use. One attendee had already spearheaded the integration of digital ID into their platforms, and the consensus was this was a technology that most lenders and brokers should be exploring. Blockchain is still in the category of “future” technology to watch, however the potential future use was raised by one participant. Blockchain is a distributed ledger, most famous for underpinning crypto currencies such as Bitcoin. It is an open, decentralised database (every single node has all data and validates all transactions) that removes the central point of attack or failure. Data is immutable (“tamper resistant”) which provides one trusted version of the truth for all parties. Because no third party intermediary is required, no trust in a counter-party or third party is required. The potential for transforming the home buying process is compelling. Through the lifecycle of the home purchase journey each party (broker, borrower, lender, valuer, conveyancer, mortgage servicer) could be granted instant access to view and add records/update actions when required in the process, based on a set of rules programmed into the smart contract. Instead of multiple parties keeping separate records on a mortgage in scattered files and systems, a mortgage blockchain could act as a single tamper-resistant store of all data. This would reduce risk of fraud and provide a full, unchangeable audit trail for all parties. In fact Dock9 built a proof of concept mortgage blockchain application testing the ideas above that we demonstrated at a Building Societies Association event last year. It’s fair to say we covered a lot of topics in the roundtable, and there was a wide range of opinions on the future. One area of agreement was that the stasis of the last decade can’t continue – if the mortgage doesn’t wake up and push forward, it’s leaving a wide open space for someone else to do it.